SABIOD is an interdisciplinary Big Data MASTODONS CNRS project, started in 2012, from bioacoustics to ecology, signal processing to feature learning, large scale classification to biodiversity. In 2015 it involves 40 academic researchers and 15 private researchers in scaled signal processing, machine learning, ecology, biology and physics. Thus, SABIOD project aims to detect, cluster, classify and index bioacoustic big data in various ecosystems, space and time scales, in order to reveal informations on the complex sensori-motor loop and the health of an ecosystem, and to demonstrate anthropic impacts or new biodiversity insights. - "Automatic acoustic detection of birds through deep learning: the first Bird Audio Detection challenge Dan Stowell et al." 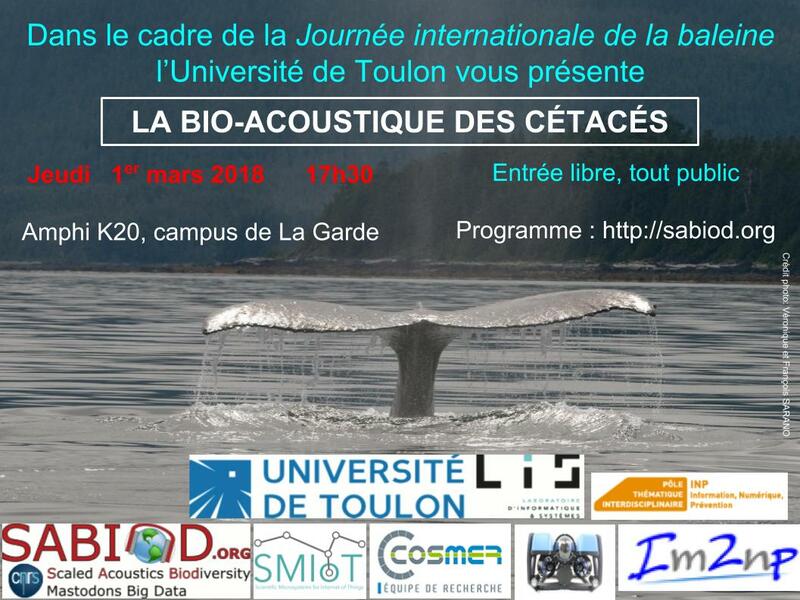 - Journée de la baleine - séminaire de l'université de Toulon, 1er Mars 2018, 17:30 Amphi K20, La Garde. - The 8th DCLDE challenge on whale sound classification is open, with 4 To High SR and 100 Go Low SR sets! with expert diver F. Sarano to detail the BIOSONAR and emissions of Cachalot (Phd Thesis of M. Ferrari, Dir H. Glotin M. Asch). - 1500 bird species automatic song classification (Bird LifeClef2018) challenge is OPEN. - 1500 bird species automatic song classification (Bird LifeClef2017) : A direct link to the best performing and the SABIOD winner systems. - Chernobyl Bird Audio Detection challenge, with QMUL UK and MADICS. Visit the workshop papers. - The 1st international Bioacoustic Hackathon (by MADICS EADM) 26 & 27 october 2016 Toulon to solve in group some selected most difficult challenges in classification and tracking of the submarine BIOACOUSTIC TRANSIENTS - Free but mandatory registration, few places left (20 max). You will learn data mining for submarine sounds analyses, based on heterogeneous recordings of Physeter m. in Toulon within our projects like VAMOS. - Gaël Richard, Tuomas Virtanen, Nobutaka Ono, Juan Pablo Bello, and Hervé Glotin are guest editors of a special issue of the prestigious IEEE/ACM Transactions on Audio, Speech and Language Processing. The topic of the issue is sound scene and event analysis for indoor and outdoor environments, including applications in bio-acoustics. The call for papers is available from here. Manuscripts are due July 12th, 2016. 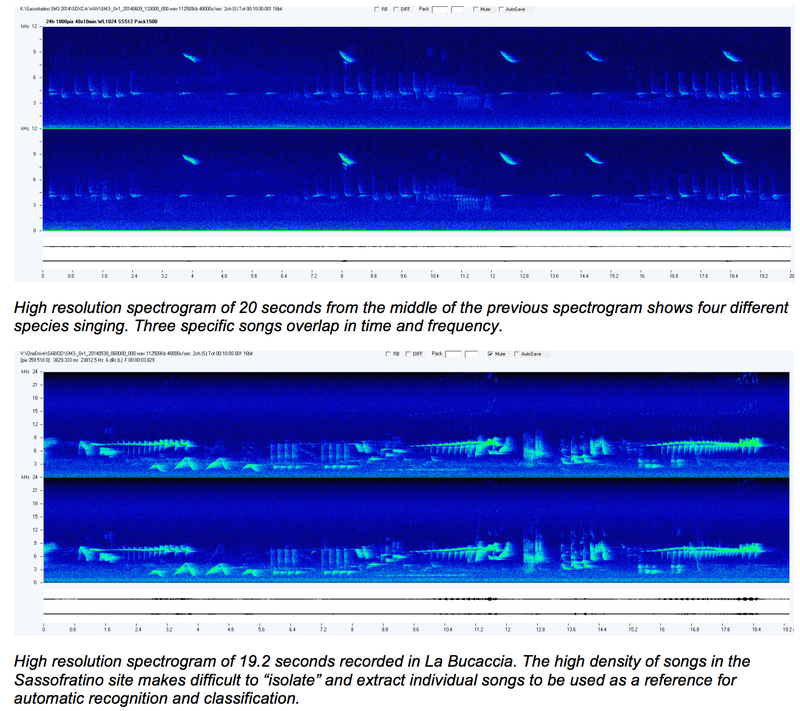 - New Phd and Postdoc grants in deep learning for bioacoustics. - 3D acoustic whale survey in french Riviera. - Call for paper: IEEE Workshop. (Aug. 9. ext. deadline): 'Environmental Acoustic Data Mining [EADM]',14 nov. 2015, Atlantic City, USA. 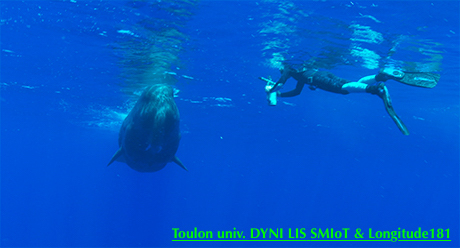 - 10th Advanced Multimodal Information Retrieval School / Workshop : 'Big Data Sciences for Bioacoustic Environmental Survey', 21 & 22 April 2015, Toulon, Provence Cote d'Azur. - Sabiod co-organizes BIRD LIFECLEF 2015 with 1000 bird species!! Based on different types of audio records over 1000 species from South America centered on Brazil, this challenge is the biggest ever organized. - Sabiod supports the Sea Explorer project, the first 5D bioacoustic lab catamaran for embeded soundscape analyses. - BOMBYX SABIOD sono buoy (Multimodal Buoy for Bioacoustics and Oceanography) allows to monitor Sperm whale (cachalot) south of Port-Cros National Park - Pelagos. - JASON SABIOD Project (Joint Acoustic Survey for Online Biodiversity) is started, joining 30 tenures from university of Toulon. - SABIOD runs in Italian Alps with Cibra Collaboration.